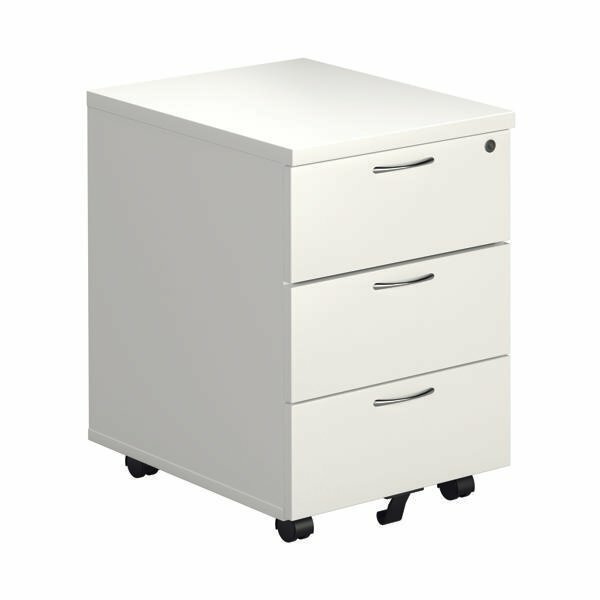 Designed to complement both Jemini and Arista desking, this 3 Drawer Mobile Pedestal can be used under desks or independently. 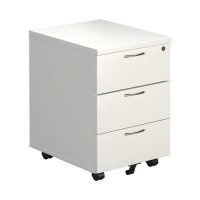 The pedestal features 3 shallow box drawers for stationery, books or other office accessories and supplies. Mounted on four swivel castors, it can be manoeuvred easily for flexible use. Finished in an eye-catching white, the pedestal measures W434 x D580 x H595mm.